Fashion Herald: Window Spotting: Get Your Wings! 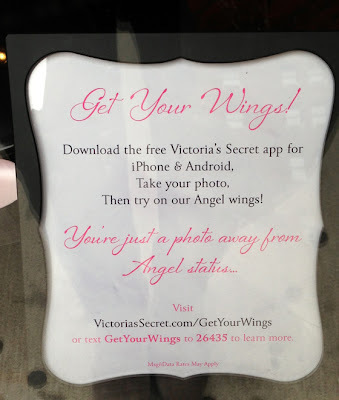 Spotted in Victoria's Secret Herald Square: Ever wonder what you would like in Angel wings? Well, there's an app for that. Visit VictoriasSecret.com/GetYourWings, download the app, and you're on your way to picking out your very own wings. Happy flying, Angels!